It’s been documented over the past week or so that Future and Juice WRLD have been heavy in the studio together. They dropped the song “Fine China” on Monday and now late last night, Future shared details of them dropping a full collab project! Fewtch first shared the tracklist on Instagram and then teased on Twitter that it’d be dropping on Friday. It’s not a definite but it seems like a good bet that we’ll be receiving this on Friday. 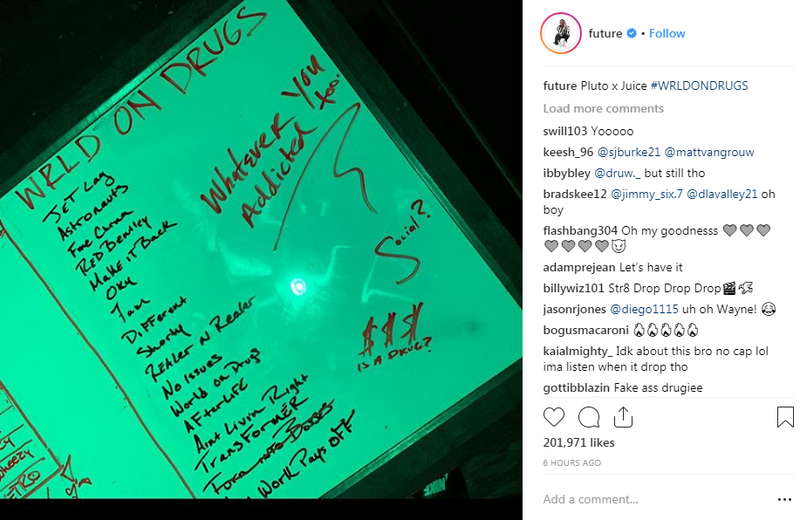 Peep the tracklist he posted below, which doesn’t include features, but surely there will be features in tow. Gunna and Travis Scott were pictured in the studio with them lately and there’s surely others.